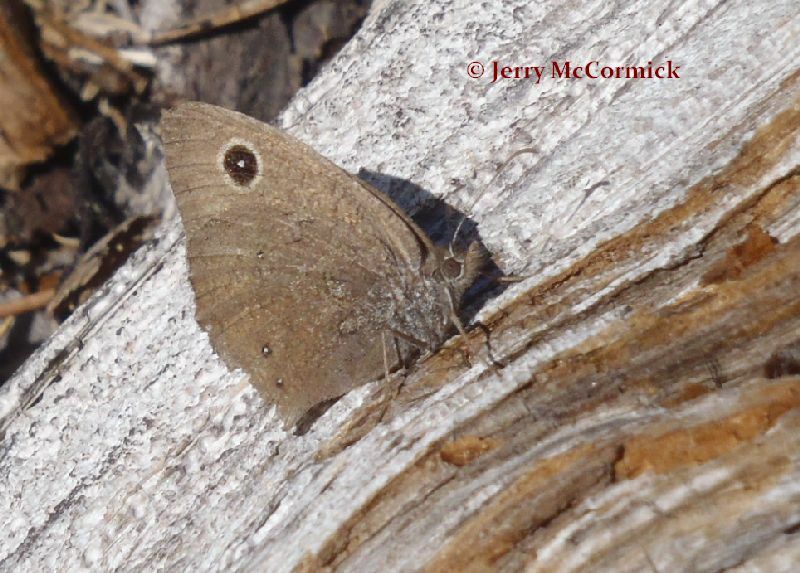 Identification: Wings are light to very dark brown; wing fringes are checkered. 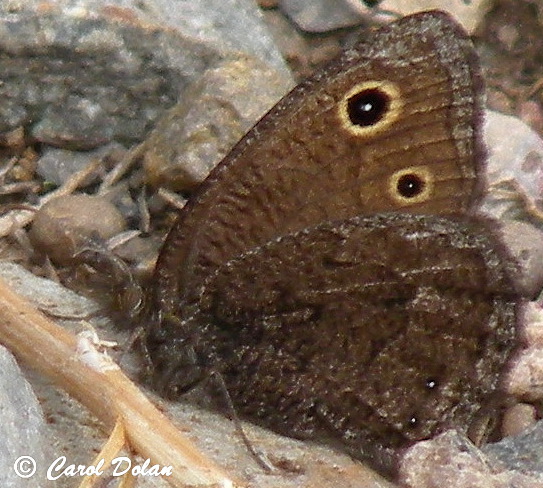 Upperside of forewing usually has 1 eyespot in the male, 2 eyespots in the female; upper eyespot is larger. 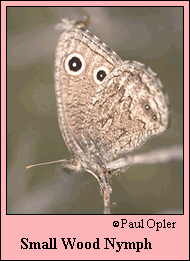 Underside of forewing of both sexes has lower eyespot smaller and nearer to the wing edge than the upper eyespot. Life History: Males patrol all day for females, who deposit eggs singly on the host plant. 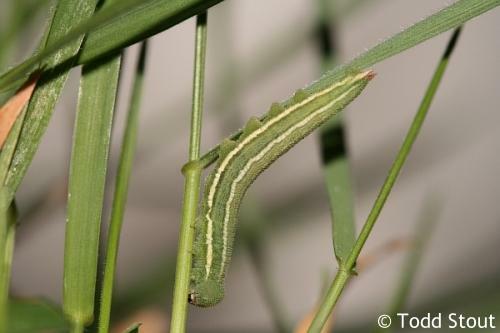 First-stage caterpillars hibernate unfed until the following spring. Habitat: Dry chaparral, sagebrush, grasslands, scrub, open woodland, meadows. Range: British Columbia east to southern Saskatchewan and western North Dakota; south to eastern California, Nevada, central Arizona, and New Mexico.